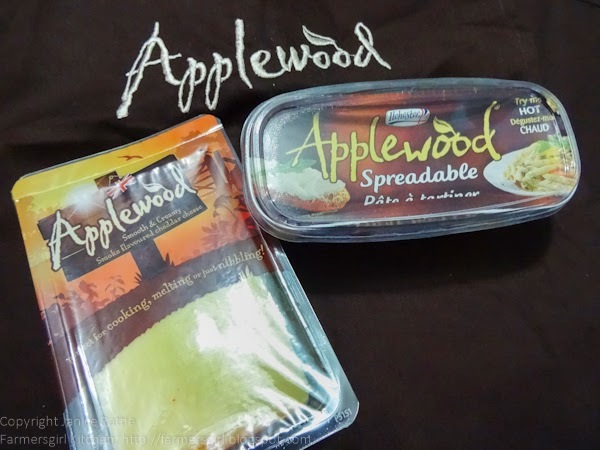 This recipe is easy peasy Applewood Cheesey! 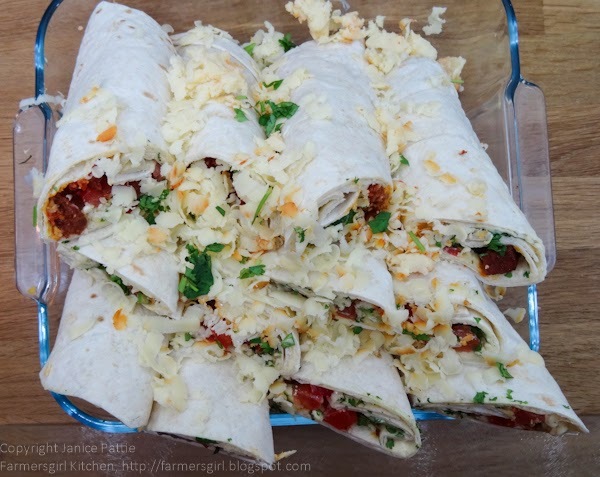 The Hot n Smoky Cheese and Tomato Wraps are easy to put together and full of flavour. 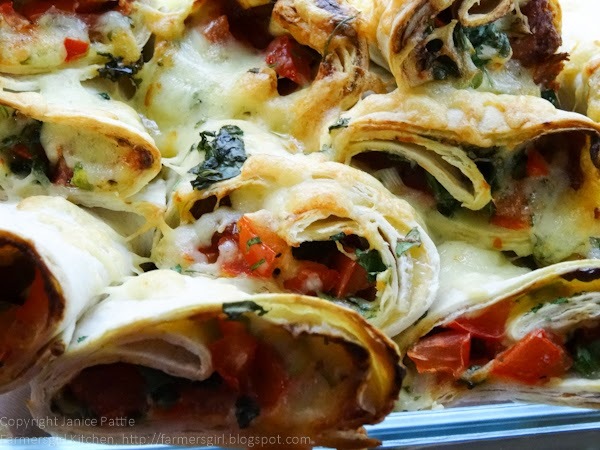 You could vary the recipe in all sorts of ways as long as it includes cheese. This is my third recipe for the Applewood Spreadable Blogger Competition, check out the Kale, Pumpkin and Smoked Cheese Tart and Smoky Celeriac and Apple Remoulade. 1. Deseed and chop the tomatoes and place in a bowl. 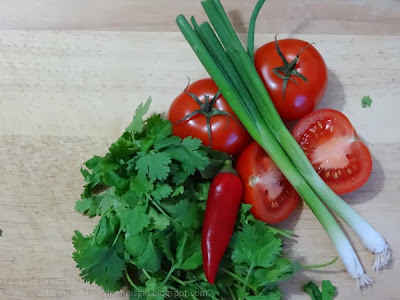 Finely chop the spring onions, deseed and finely chop the chilli, add to the tomatoes and set aside. 2. 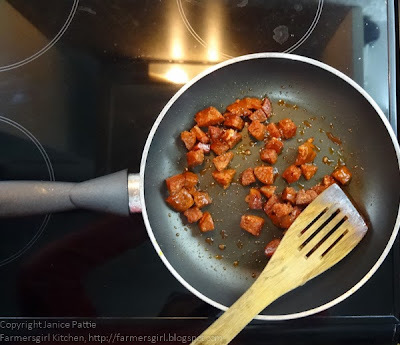 Skin and chop the chorizo, fry it gently in a non-stick pan without oil until the sausage pieces start to char at the edges and the oil starts to run. 3. Lay out the tortillas and spread with the Applewood Spreadable, divide the chorizo between the 6 tortillas, laying it in a line down the middle. 4. 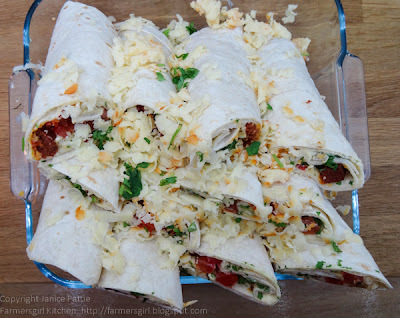 Top the chorizo with the salsa, grateed Applewood Smoked Cheese (keeping some aside to top the finished dish) and chopped coriander. 5. 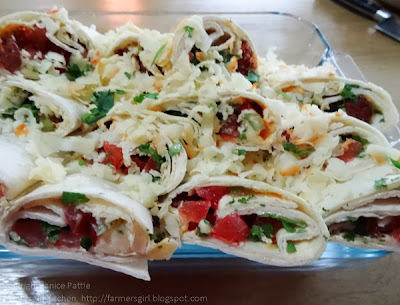 Roll up the Tortillas, cut in half and layer them up in an ovenproof dish. Top with the remaining grated cheese. 6. 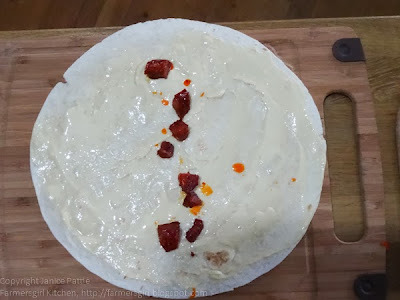 Bake at 200C/400F for 15 minutes until heated through and the cheese has melted. 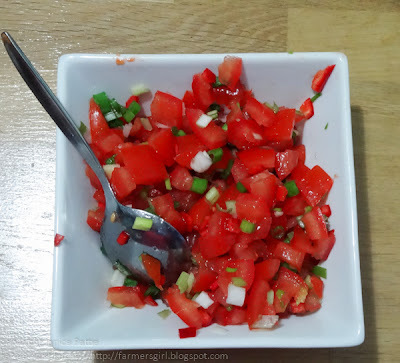 Serve hot with salad. I was provided with samples of Applewood Spreadable, Applewood Smoked Cheese and a hamper of other ingredients. I was not paid for this review and all opinions are my own. oh good lord Janice these are STUNNING... totally not on the diet but who the frig cares... gorgeous! Thanks guys, we loved the wraps, had them as a Friday night supper, pure indulgence! Oooh didn't realise they did a spreadable one now - how yummy!! 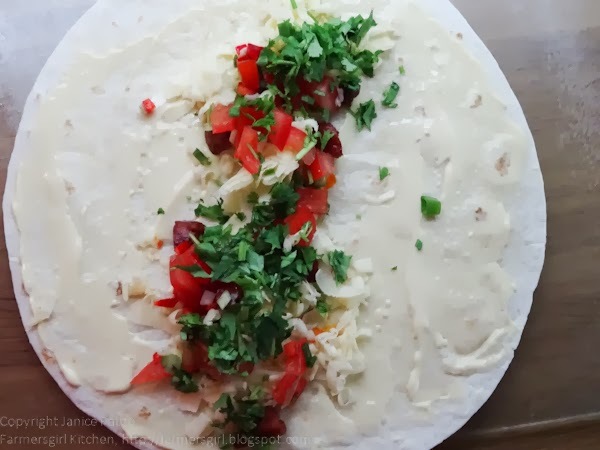 Love wraps mm!